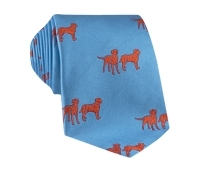 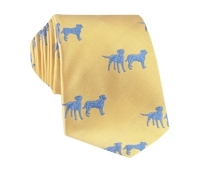 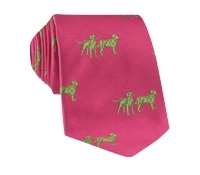 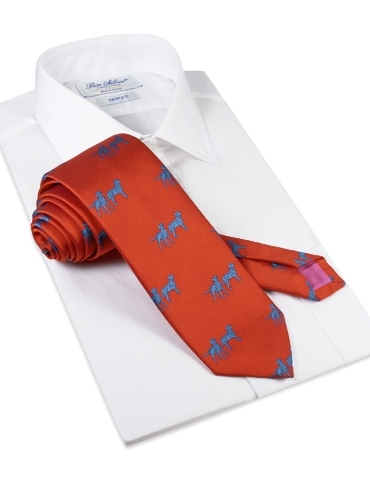 Our most popular jacquard woven motif neckties continue to be America’s most popular dog – the Labrador Retriever! 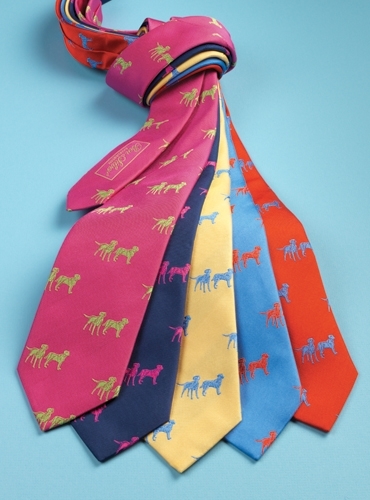 Available in four wonderful colors this season: A-magenta with lime woven lab motif; B-navy with magenta; C-sun with sky; D-sky with tangerine; E-tangerine with sky. 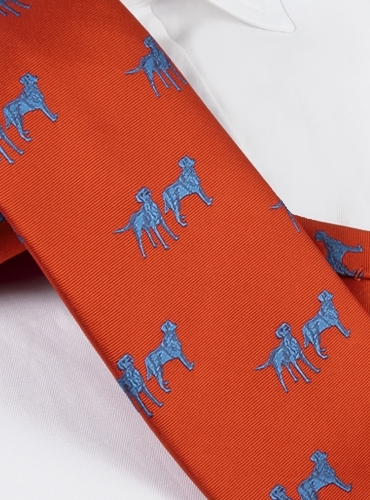 Shown here in E-tangerine with sky.